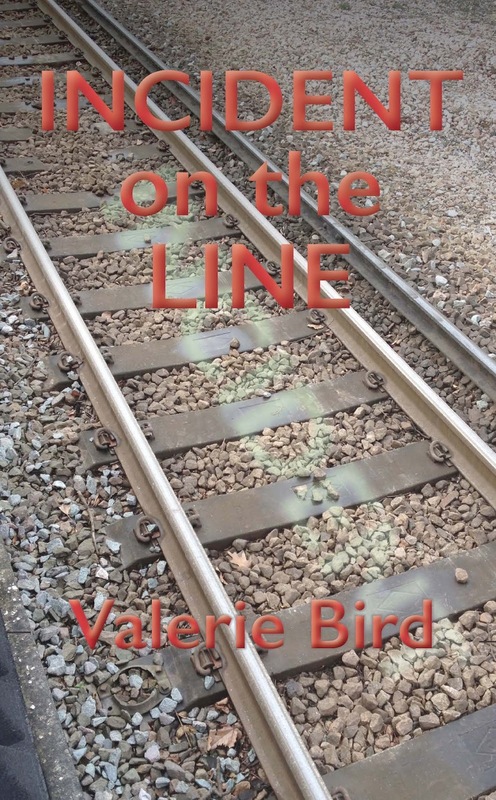 My latest book, ‘Incident on the Line’ is now published in paperback and as an eBook / iBook on Amazon, so what comes next? Starting again, a new novel, and, as before, all the questions and worries crop up. It began with a scene, an image so clear in my head that it transposed into words with relative ease. What has happened and how it will reverberate into a story is clear. I know the reason who did what to whom and why. I have an outline of a plot. The characters are coming alive, they’re doing what they want, taking me to places, with thoughts and conversations I hadn't originally envisaged. Apart from the old problem of lacking confidence, fear that I cannot do this, and how do I stay focused and calm to keep writing, I am excited. This is a love story which should not have happened. It will not be a romance though; happy endings seldom convince me. 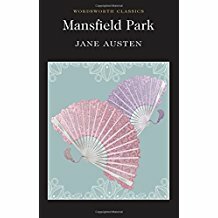 Even in Jane Austen’s ‘Mansfield Park’ which I’ve recently been rereading, our great novelist does not give much time for the lovers to come together, it’s all rather cursory. The reader is not offered that final love scene and is left with a nasty feeling that our heroine, Fanny, sweet, frail girl that she is, will die during her first pregnancy and childbirth. 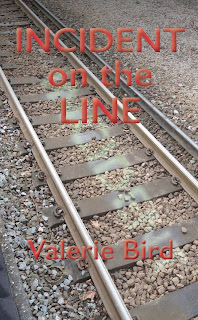 The ‘how it came about’, the consequences for those involved, are what I’m writing about.The tale has broadened out; there are more characters involved; they keep popping up. I begin to worry; this must not become a family saga. There are family sagas which I would commend. 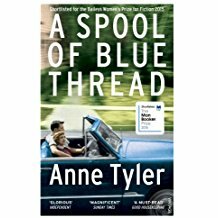 ‘A Spool of Blue Thread’ by Anne Tyler cleverly takes us forward and back as well as exploring each character in some detail. Its main success for me was when, half way through, it jumps back in time, away from the woman who you have believed is the central character. It was unexpected and, with this knowledge, it added another layer to all the characters you already thought you knew. The lesson here is that more than one central character can work. 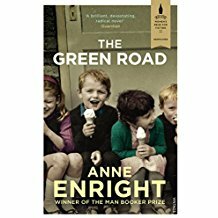 Anne Enright’s ‘The Green Road’ was another revelation. Set in Ireland, the mother is the main protagonist. Her bitterness and influence on her four children is the main focus for the novel. Each of those characters’ lives are given equal value though, a separate chapter where the reader meets and gets to know them before we see them sparring off each other. The chapter on Dan, the eldest, tells us about the gay community in New York during the initial Aids epidemic. Our sympathies are allowed to lie with these people and their situation. As if we have short stories of separate people embedded and linked. Strong supporting characters, or more than one protagonist, works. As you would expect, my new novel is all becoming much more complicated. The initial scene is set in this year, 2016. Then it goes back to 1938 and on, with references to characters’ lives before the 1st World War. These time shifts will need careful handling. 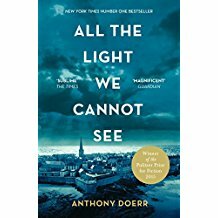 ‘All the Light We Cannot See’ by Anthony Doerr is a marvellous example of this technique. The novel starts in St Malo in 1944, goes back to 1937 and on, though frequently switches back to the situation during the beginning of the retaking of the city. It is clearly signposted and keeps the reader on tenterhooks. Can I aim for the techniques of a Pulitzer Prize winning novel? Yes, isn’t that what we are always attempting? My main fear is authenticity, the amount of research required for me to feel secure. The image of the iceberg comes to mind, the amount unseen below in comparison to that small peak appearing above the water. To make the reader believe they are there with those people, in that place, at that time. Is it worth a whole project? Ought I to be doing something else? There are those half finished poems, short stories which I want to complete. I understand Sebastian Barry talking about ‘the hunger to write’ when we are involved in other tasks. So I ought to finish this blog. Make a plan, a schedule, that’s the answer. Perhaps I’ll start on that first. I never used to agree with old TS Eliot. As a young woman, I never thought April cruel. I was largely an optimist, given to romantic melancholy but nothing worse. As an older woman and a writer, I would concede that all that bursting and budding could leave a writer feeling uncreative and inadequate. But then pretty well anything can make a writer feel uncreative and inadequate in my experience. This year though, as March fades and Brexit is triggered, the prospect of April is disturbing; I can see cruelty in its false promise. 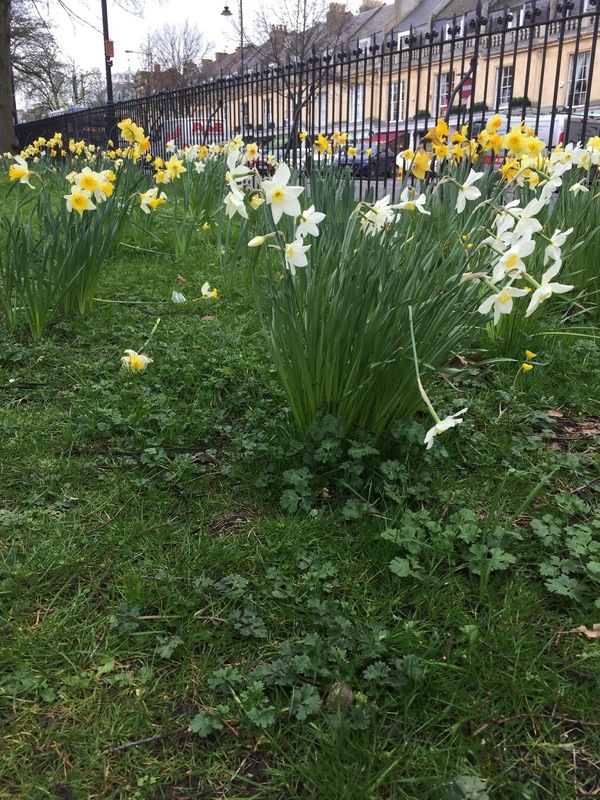 With Trump in the White House, sunshine and daffodils reminds me of the opening shots of a disaster movie, the beautiful before. I can almost hear the elegaic music, the lingering, loving camera shots before a tidal wave, or a nuclear winter destroys the lot. I should come clean and confess that I am still editing an old post apocalyptic, climate change novel of mine, but, with the newspapers full of Trump's decision to abandon Obama’s climate legislation and our own country likely to abandon our commitment to European environmental standards, it is not just the novel that is stimulating my millenarian tendencies. 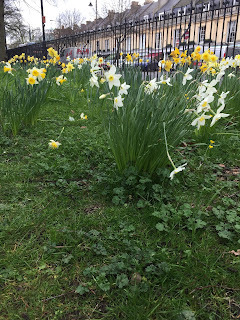 As April springs into view, I am reminded of a writing exercise I sometimes set students. They are required to imagine a scene and to describe it first from the point of view of someone excited to meet a lover there, then to describe the same scene from the point of view of someone bereaved. We humans rarely see anything objectively. Today the world feels a little like a scene from a film, set in 1913, every shot infused with nostalgia for the last days of a particular type of innocence. I know that I am not the only one, watching events unfold through the lens of future history, fearful that fact will deliver the kind of disaster usually confined to fiction. Perhaps this is nothing more than common or garden political disquiet, a writer’s tendency towards drama, a momentary mood. Let's all hope it is nothing other than middle aged anxiety and a harbinger of nothing more than a glorious summer. Meanwhile, I am in the perfect state of mind to finish my post apocalyptic novel. Who said I wasn't an optimist? Terrorism, Alien Gender Issues and Unbound, by Enid Richemont. It seems to me, however, that if you're a real god, one who'd actually created universes etc etc, you'd be somewhat above being offended by the manners of mere mortals. But then, gods need believers, otherwise, like Peter Pan's fairies, they might cease to exist (cf Terry Pratchett's "SMALL GODS") Mr Pratchett, regrettably no longer with us, always got these things quite uncomforably, but always amusingly, right. 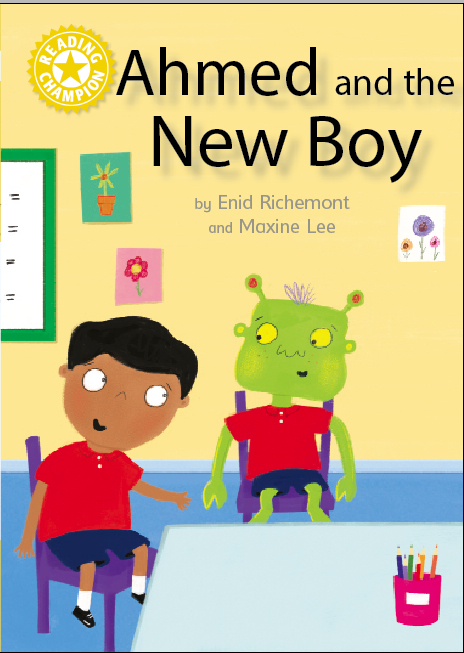 This is the cover image of my new little book "AHMED and the NEW BOY" (my preferred title: "AHMED and the ALIEN", but maybe this is more accessble to young readers). No one, including the teacher - well, especially the teacher - seems to notice that the new 'boy' is green, and has antennae. This is true diversity and inclusivity, although I do wonder who, and indeed, how, the alien's gender has been determined - aliens, after all, are not kittens. My original character had no discernible gender as I felt that beings evolving on Planet Zog might have turned out differently, and maybe had three or more genders or even none at all. However, you may be pleased to learn that this particular alien turns out to be very good at football, although not very much else, so possibly an accurate analogy to certain-type Earthlings. I am still hovering on the brink of publishing a curious adult novel with Unbound. The manuscript has been accepted by them, and they are picky - they even had a Booker author on their list. I'm daunted by the self-publicity, though, which apparently is very hard work. There was an interesting article by Alice Jolly, in the recent edition of "The Author", (the journal of the Society of Authors) who published a memoir with them. She has a lot of interesting things to say about the way publishing is going. To quote Alice: Unbound does book production to the same standard as a big publisher. They edit, proofread, design the cover and produce the ebook version. They also deal with marketing and publicity, presumably all this after the book has acquired the necessary funding - in my case, £4000, which does seem like a helluva lot to raise when I could set up the whole thing myself for peanuts. I've just been on its site, though, and picked up on the illustrated chronicles of Donaeld the Unready, the Best Medieval King out there. He's got great swords, everyone says so. Fake chronicles everywhere. Fight back against Mad Monk Bede and his Twisty Scribings. Love it! Feel Mr Trump has a second life, after impeachment, as a comedy act. This year I decided to stay home and follow the London Book Fair on Twitter. I can’t remember when I first attended the show. It could be as long as thirty years ago. Then it seemed impossibly daunting. So many thousands of books being promoted, none of them by me; so many people who all seemed to know each other well enough to air-kiss or hold intense meetings. I wandered the aisles downstairs among the publishers for hours and then bluffed my way past the guards upstairs to wander among the agents as they haggled over foreign rights, overwhelmed by the enormity of it all. Authors were not expected to attend in those days, so at least I had rarity on my side, but no one really wanted to talk to me either, fearful that I might pitch an idea or ask what had happened to my outstanding royalties. Once I became more established and had relationships with half a dozen agents and half a dozen publishers, the experience became less overwhelming. I actually had meetings to attend and sometimes I even got to appear on a panel. Now when I walked the aisles I would bump into people I knew and I could exchange air-kisses of my own. One year I even over-nighted in London in order to attend two days in a row because I had so many people to see. But still the facts remain; I became a writer for many reasons, some of which involve not having to walk around Earls Court or Olympia for hours on end, not having to be jostled by crowds, not having to queue to buy mass-produced food which I then have to consume standing up, or fight for a few inches at a table. I have also become spoiled in my old age. If I have to eat in company I would prefer it to be somewhere where I will get plenty of elbow room and plenty of nice people constantly asking if I need anything and keeping my glass topped up. In a remarkable and welcome change of emphasis, writers are now positively fawned over at LBF, which means that hundreds of them turn up and there is no rarity value to me being there any more. I am rather afraid of going anywhere where I will be confronted by the inescapable evidence of how many of us there are frantically chasing the same dreams. It was only by accident that I discovered that almost everyone I follow on Twitter was either involved in the LBF or attending, so by following them I was able to feel like I was there while still fitting a few hours of writing and a few hours of gardening into the day – plus a bit of an after-lunch kip. Maybe next year I’ll feel ready to tackle the real thing again. On June 6, 2013, the Poetry Foundation in Chicago hosted the Chicago segment of the Poetry Society of America's 2013 national series, Yet Do I Marvel: Black Iconic Poets of the Twentieth Century. 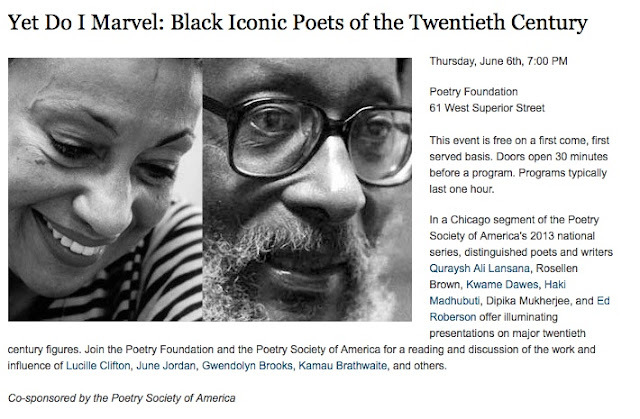 I spoke about Derek Walcott's poetry influencing my own creativity. I chose to speak about Derek Walcott, for Chicago is as much home to me as is Kuala Lumpur and New Delhi, so I chose Walcott, another nomad poet, who writes about exile and politics and a post-colonial identity in a voice resonant with many languages. He claims the brilliance of a monsoon sky while in the bonechilling winds of an American winter. Although Walcott is of a generation earlier than mine his concerns remain relevant to the generation that comes after me. The world still remains divided by wars, endangered by racial violence and religious distrust...and still, driven by greed. There were years when I could not write creatively at all...except for poetry. In my twenties, as a young mother of two little boys, while straining to complete a PhD in an alien city in Texas, I read Walcott's poetry and wrote my own. I am aware of the charges of sexual harassment plaguing Walcott's career and they make me very uncomfortable as a woman and a poet. But it is also true that he influenced my early writing in a way that is undeniable. Walcott’s poems sing, even when they are full of pain. As a child, I was brought up on Bengali poetry written by another Nobel Laureate, Rabindranath Tagore, whose poems are literally sung in the homes of West Bengal and of Bangladesh; even the Bengali diaspora sings this poetry. I grew up with an appreciation of the musicality of poetry, but from poets like Walcott and Tagore, I learned how to form words to be the change in this world, to create beauty even when there is great despair. Years later, at an APWT literary festival in Thailand, I would heard Kim Jong Il’s former court-poet read a poem about a woman selling her daughter in a marketplace (the child is bought by a soldier), and it moved the jaded international audience in a way news reports rarely do. At a literary festival in Myanmar, fiery poet-monks in red spoke about the value of poetry in challenging notions of nationalism. In this, there is the heart of an exile, the enchantment of a journey, the simple joys of land and sea over the trappings of entrenched power. My first poetry book is titled “The Palimpsest of Exile”. Chicago’s avenues, as white as Poland. A blizzard of heavenly coke hushes the ghettos. The scratched sky flickers like a TV set. ... Things burn for days . . . 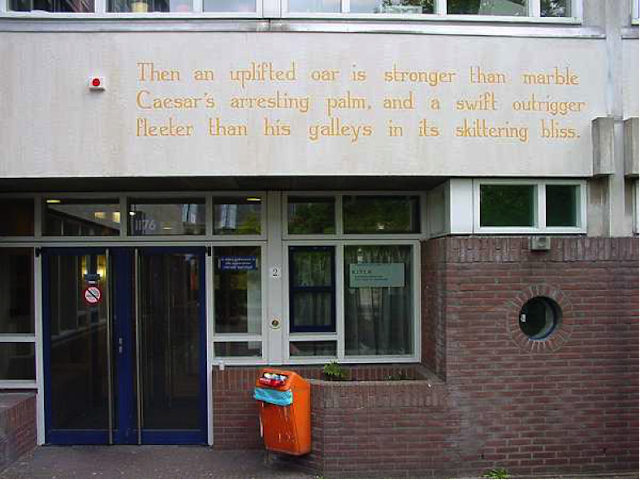 I end here, on this resounding tribute to the immortality of the word, of poetry. There can be no death here, no silence. Dipika Mukherjee’s second novel, Shambala Junction, will be released in the US in April 2017; it won the Virginia Prize for Fiction (Aurora Metro, 2016). Her debut novel, was longlisted for the Man Asian Literary Prize, republished as Ode to Broken Things (Repeater, 2016), and is available in bookstores now. It is being released as an Audible book on March 28, 2017.